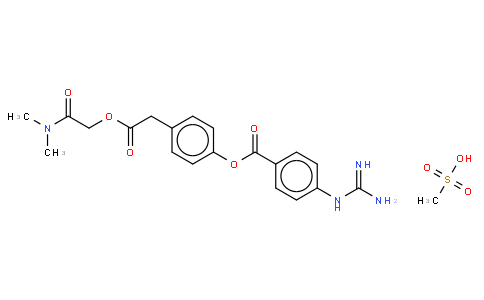 Camostat Mesilate, also known as FOY 305, is a serine protease inhibitor. Serine protease enzymes have a variety of functions in the body, and so camostat has a diverse range of uses. It is used in the treatment of some forms of cancer and is also effective against some viral infections, as well as inhibiting fibrosis in liver or kidney disease or pancreatitis.